DiscoverThat: Car wiring harness best practice... or not? What inspired me to write up some notes was a question posted on Facebook. The answers to which were conflicting. How do you know which answers are the correct ones and which are wrong or just not the best solution. That got me asking, what is best practice for car wiring harnesses? It proved more difficult than expected to get a satisfactory answer. Apparently racing teams use aeronautic or boating standards. I fairly regularly come across people fixing car wiring with a soldering iron. Even my local garage was going to solder on some bullet connectors. They did admit that at the time they were lacking an auto-electrician. You can probably tell that I think solder, for this use, is a bad thing. I want to be clear at this stage that I am perfectly able to solder a good joint, probably better than I can crimp but I believe that, for car wiring harnesses, a good crimp joint is the better choice. I was taught that solder on stranded wires was a bad thing if the cable was likely to move. Mechanical vibration causes the wire just before the solder joint to crack because it can no longer flex freely. If the stranded cable is free to move it would be undamaged. That pretty much applies to the entire loom in a car, by my thinking. I tried to find some on-line electrical training manuals but I could only find the odd extract from old paper books. A few of these repeated what I had been taught but I would not class any of them as definitive. 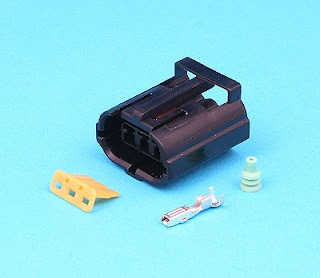 My best evidence for not using solder joints is that all car looms I have seen in the last few years have been exclusively crimp connectors. 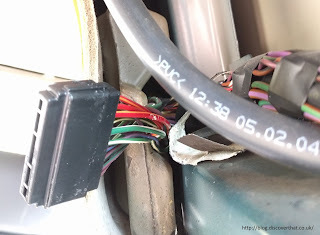 I am sure there are cases, even within a car harness, where solder joints are a better choice. To further water down my comments, a properly secured cable will not vibrate much, so again, a solder joint would work well. So I have not found the definitive answers I was hoping for. Therefore I am left to draw my own conclusions. Where a solder joint is required, ensure the connection is mechanically secured from movement. If I come across any more definitive answers I'll update this article.